Safe and Secure, not ground floor 9' x 21' East facing patio with a mountain view. Exercise your green thumb and grow a garden! Imagine growing your own organic produce. Walk down your treelined street to Cartems doughnuts or the Whip, you’re within proximity to the new Emily Carr campus also. This well maintained 1 bdrm, 1 bath on the 2nd fl has an open floor-plan and large windows. The bedroom can accommodate a King bed + furniture and looks out onto quiet greenery. 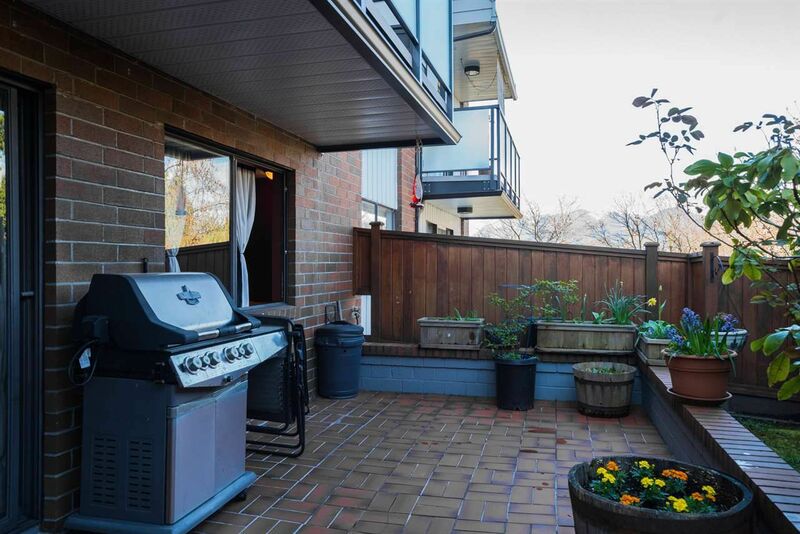 This well maintained building features newer balconies, boiler and roof, in fact the roof has a common deck with killer views. 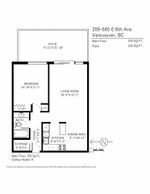 1 parking, updated shared laundry, in-suite storage + storage locker. 1 pet allowed and more with special approval, sorry no rentals. Public Open House Sat/Sun April 14th and 15th 2-4 pm.